If you want to add the Zoho CRM app to your online form, but have troubles connecting the app to your account, it’s because you’ve exceeded the number of tokens available in Zoho. If you use your Zoho tokens for other platforms or applications aside of 123FormBuilder, this issue might occur. The maximum number of tokens available in any Zoho CRM account is 10, so if you exceed this number, you will not be able to connect your account and finish the 123FormBuilder – Zoho CRM integration for your online form. 1. Go to My Account – it’s located on the top right side of the screen, when pressing your avatar. 2. 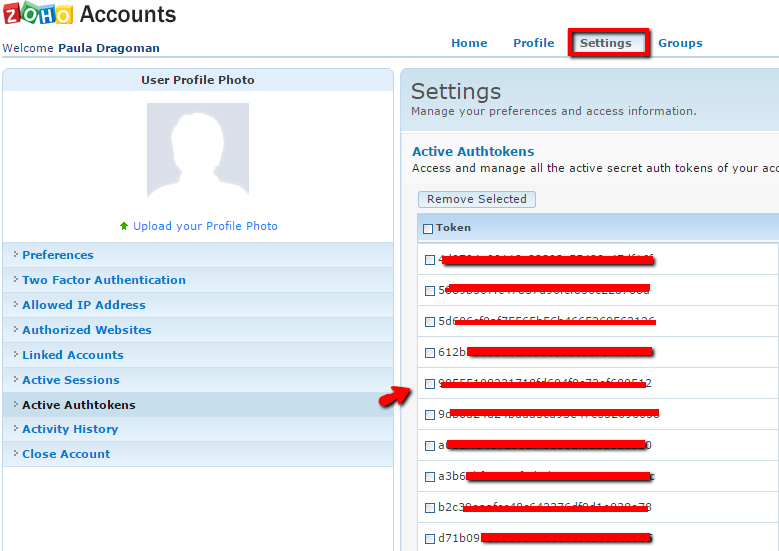 Head over to Settings and click on Active Authtokens. Note:Without the use of a token, the 123FormBuilder web form builder couldn’t facilitate the form data transfer from the online form to your Zoho CRM. 3. Within the list of tokens, use the checkboxes on the left side to select the token you want to delete. Be sure you delete those tokens you do not need anymore. 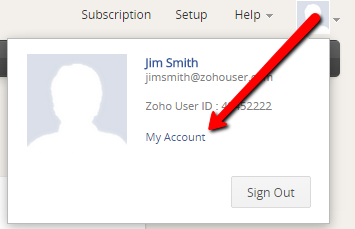 Whenever you have problems connecting your account through the Zoho CRM app, repeat the steps above or contact our support specialists at support[at]123formbuilder.com if the tutorial did not fix the issue.